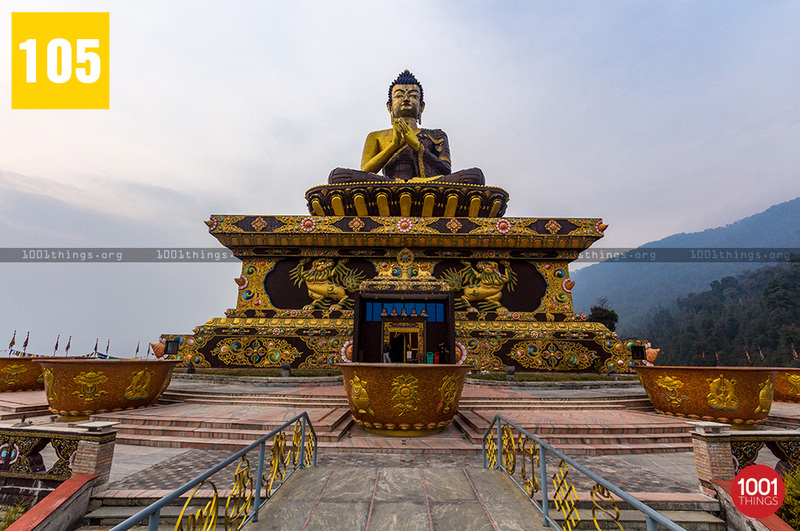 On the 2550th birthday of Lord Buddha’s stupendous and colossal statue was structured in Ravangla, Sikkim. 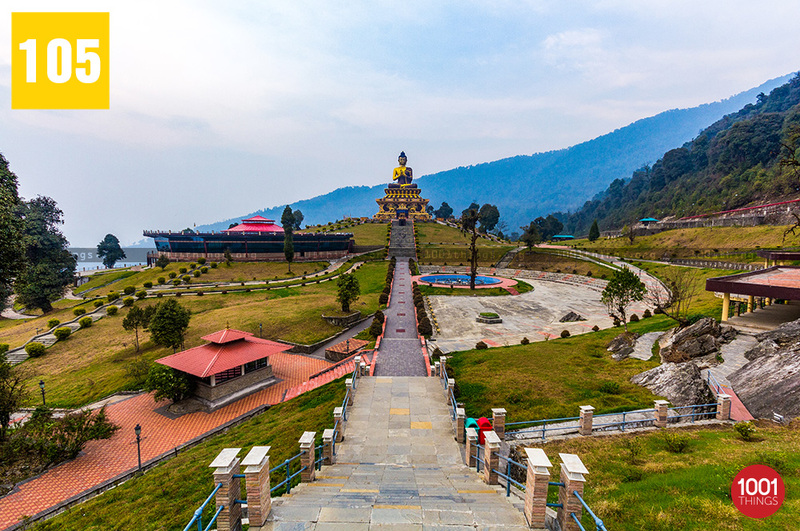 Tathagata Tsal is a place named by his holiness Dalai Lama the fourteenth, where a 128 foot hammered copper statue of the Buddha was consecrated by him in 2013. 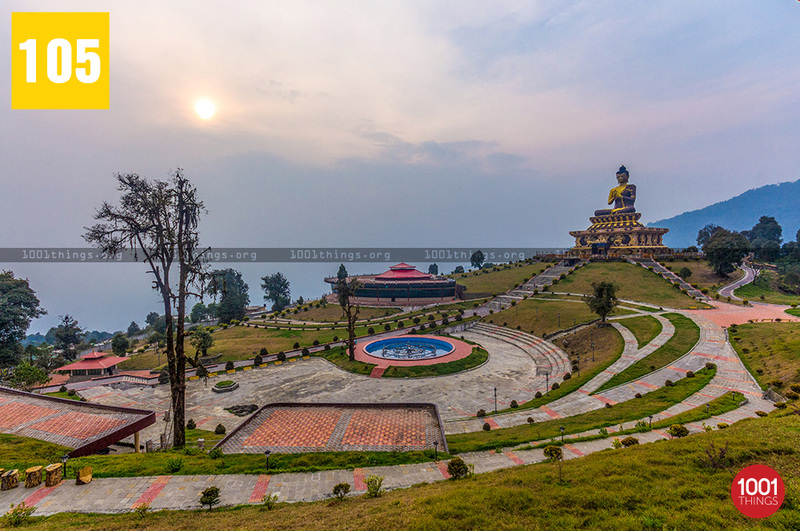 Since after, he consecrated the structure its become a key destination for the Buddhists and Himalayan Buddhists. The park is planned and structured in a way that from an aerial view the yin-yang formation around the statue. 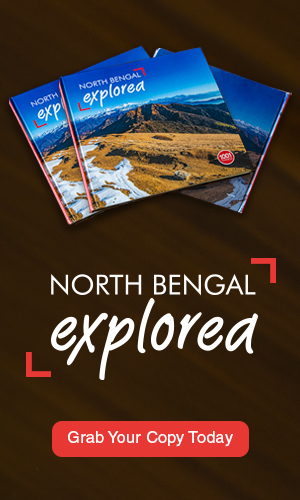 Tathagata is a Sanskrit and Pali word. It is used to refer/depict to Lord Buddha. This term is often thought to mean either “one who has thus gone” (tathā-gata) or “one who has thus come” (tathā-āgata). This is interpreted as signifying that the Tathagata is beyond all coming and going – beyond all transitory process of life. As per the teachings of Buddha, this also may be meant to one who has transcended the human condition, one beyond the endless cycle of birth and rebirth/suffering. Demonstration of the teachings of Buddha makes it a popular and holy place for the Buddhist followers. 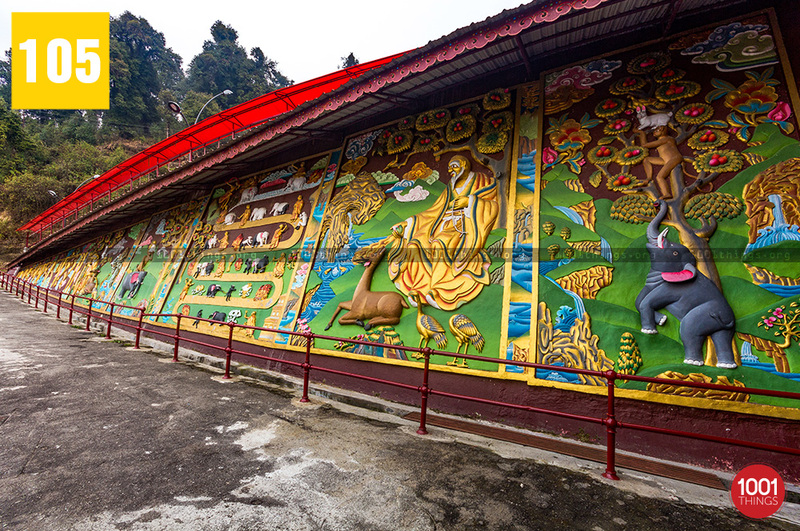 “Jataka tales”– depicted on a huge gate. Jataka tales- on the previous lives of Gautam Buddha. This location was chosen as this place was already a religious complex of the Rabong Monastery- centuries old pilgrimage. 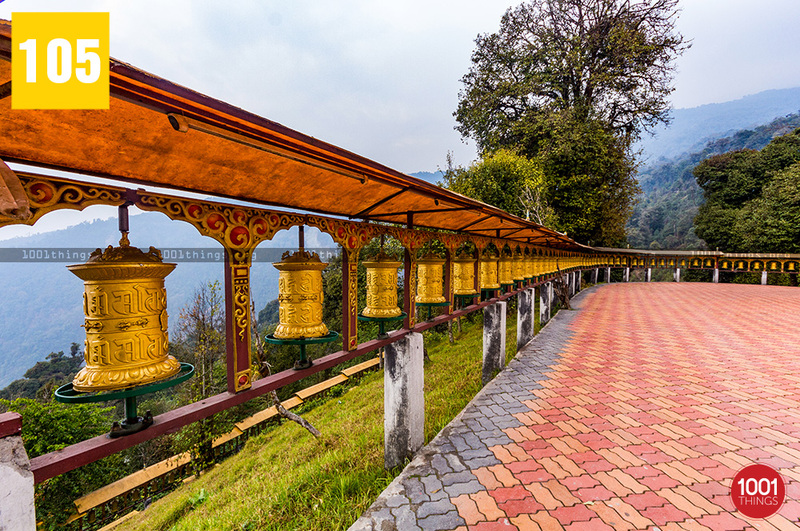 Ralang Monastery is also nearby- a key monastery for Buddhists. The main temple is beneath the huge statue of Lord Buddha. 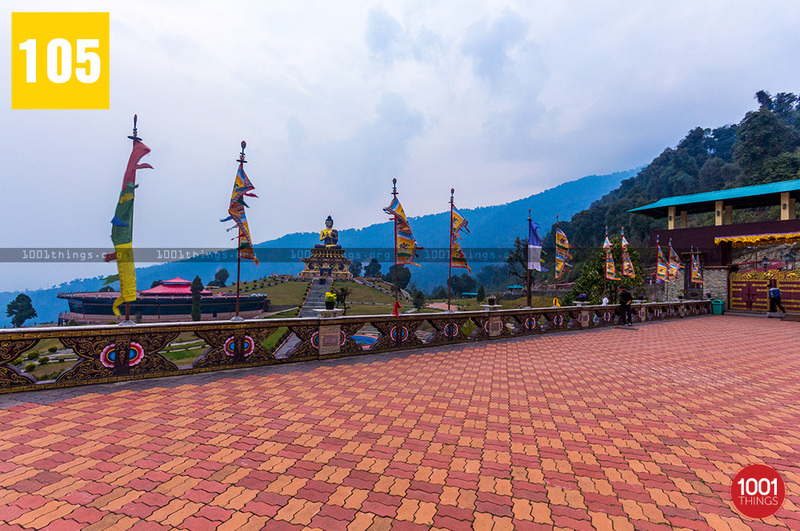 Huge walls and hall have significant images of lord Buddha and depictions of his life. A museum having the history and life of lord Buddha. Overall a beautiful depiction of Buddhist culture and importance. The temple gets closed for the visitors at 5:30 pm.